Finally, Assassin’s Creed Identity [Free] has an official release date! This time it’s not speculation or possible dates, but a solid one, and it will be on February 25th. This month, the game will be public for everyone worldwide and no one will have to wait for it any longer. It certainly has been an extremely long wait but it is worth it because they have fixed a lot of the issues that were reported to them while it was in soft launch. If you have not been following our website, then below you will find brief information on the game. The open world stealth game will be available for both, iOS and Android. In fact, the soft launch provided a great amount of feedback for Ubisoft and from what they learned, they have refined & reworked the overall game experience and the game story progression and we have seen this in last year’s September update. Moving on, let us discuss what the game is all about. The game’s theme will be based on the memories of past and present which can be uncovered by reading the Codex. All this will be taking place in the Coliseum, Florence & other familiar locations in Renaissance Italy. The world map will present familiar places to those who have already played this title on console. Through your venture into this strange world, you collect items that help you understand the bigger story. One thing that really disappointed us is that it lacks an immersive story and you basically play through each mission not really having a deep plot to motivate you. Nevertheless, it stays true to the traditional AC style that we have come to know & love – this means you can sneak, you can stab, and you can definitely climb. And really, it is the closest AC experience we have at the moment, so we can’t really complain much. Furthermore, there is a Co-op experience where you can invite your friends to help you complete challenging missions. With Assassin’s Creed Identity, there are many new heroes presented and you can choose from 3 unique classes: The Berserker, The Shadowblade, & The Trickster. You can customize your characters in terms of outfits and color variations as well. Finally, the game will allow you to fight with swords, assassinate with knives, use social stealth to hide with the crowd, and cower under haystacks if you are about to get caught. All the elements that make up an Assassin’s Creed game will be incorporated into this new game to bring about a genuine AC experience. 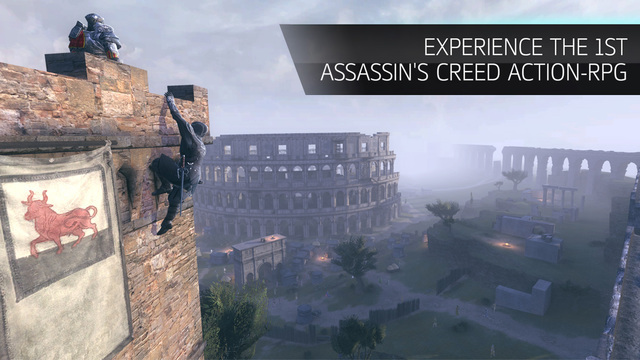 Ubisoft has rendered the graphics with custom-made HD textures, shaders, and models based on the Assassin’s Creed console title. Expect this awesome game to be available on February 25th! Check the amazing advertisement for the game below.